David Nowakowsky (pronouced "Novakovsky") was born in 1848, in the little town of Malin, Russia. At the age of eight, he left his home on account of his stepmother and came to the city of Berditchev, where he became a choirboy as welll as a keen student of harmony, counterpoint and conducting. In 1869, the 21 year old prodigy was summoned from the academic world of Berditchev to Odessa where he became the music director and choirmaster of the famous Brody Synagogue, a position which he held for fifty years. For thirty years, Nowakowsky was also a music teacher at the Odessa Orphan Asylum which was, understandably, close to his heart. He also taught at three music schools and was Professor of Theory and Harmony at the People's Conservatory. Famous writers, such as Leon Pinsker, Sholem Aleichem, the Cultural Zionist, Ahad Ha'am, and the poet, Chaim N. Bailik, (later to become the Poet Laureate of Israel) were all colleagues of Nowakowsky in turn-of-the century Odessa. Bailik, particularly, was a close friend who inspired some of the composer's great works and was captivated by the nationalistic, spiritually inspirational nature of Nowakowsky's new music. 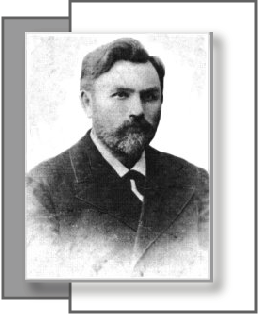 Bailik paid tribute to the unique genius of his friend with these words that were etched into Nowakowsky's tombstone: "There are many stars in the heavens, but only one shines so brightly." Nowakowsky, more than any other synagogue music composer before or after him, achieved the long-sought goal of many: the quest to enhance ancient melodies in a modern European musical framework without losing the traditional charachter of these chants. Odessa's dignitaries, both military and secular, came to the Brody Synagogue to hear a modern, yet authentic, Jewish worship and the concertizing of beautiful music and singing. 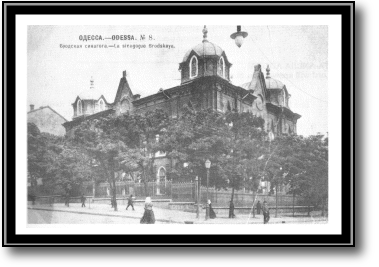 The Odessa "Camelot", which nurtured cultural Zionism, came alive in Nowakowsky's choir. Inspirationally interpreted by the fine tenor voice of the scholar, Pincus Minkowsky, the Brody Choir gained universal acclaim by the turn of the century. 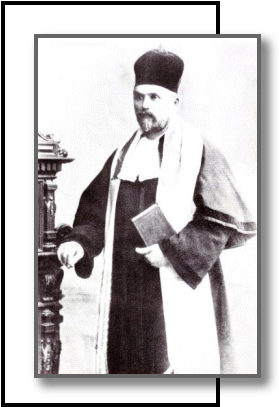 The collaboration of Nowakowsky and Minkowsky began a brilliant period of thirty years during which the two established the finest synagogue service in Tsarist Russia. Their fame spread throughout Europe. David Nowakowsky's manuscripts were driven underground when the Jewish "Camelot" of Odessa suffered total annihilation due to the Russian Revolution. After Nowakowsky died in 1921, his daughter, Rosa, who was an organist, somehow spirited much of his lifeworks out of Russia. The stage was now set for the odyssey of the manuscripts. Despite being targeted by a Gestapo 1940 Nazi "hit list," Nowakowsky's music and Rosa's daughter, Sophia, a concert pianist, (who later married Boris Zeltzman) both incredibly survived the Holocost. It was not until 1986, that Sophia's son, Alexandre, then 55 years of age and residing in the outskirts of Paris, revealed their saga. He bared the anguish of this little family as they wandered across Europe to evade the fate of Auschwitz. For seven years they criss-crossed Europe. In 1941, Alexandre's father, Boris, buried the manuscripts in two ammunition boxes at the farm of a Christian family in Vichy, France. Alexandre remembered it was called the "Chosal Farm." In 1945, with the war's end, Boris arrived at the farm and found the manuscripts safely secreted under a trash heap. In 1952, when Alexandre was accepted at Columbia University in New York City, he brought the manuscripts to his great-uncle, Leo Novack, a son of Nowakowsky. In 1955, the entire collection of manuscripts, approximately 3,500 in all, was presented to the Hebrew Union College Sacred School of Music. Under their auspices, two volumes, "The Friday Evening Sabbath Service" and "The N'ilah Service" were re-published and received wide distribution. One other smaller collection of David Nowakowsky's music made its way to the United States via Isadore Geller, who was Nowakowsky's organist in Odessa. Geller took a position at the Park Avenue Synagogue in New York City (c. 1920-1952) and eventually his collection was donated to the synagogue. On April 28, 1979, David Lefkowitz, present cantor of the Park Avenue Synagogue, presented "The Unpublished Masterpieces of David Nowakowsky," a complete service for Shabbat Rosh Hodesh (Sabbath of the New Moon). While researching material for this service, he was alerted to the collection of Nowakowsky's manuscripts at the Hebrew Union College. Encouraged by David Lefkowitz's interest in the music, the Novack family entrusted the original manuscripts to the Park Avenue Synagogue in 1983. The David Nowakowsky Foundation was established in 1988 by Jack and David A. Novack (grandsons of Nowakowsky) to promote the editing, publishing and performance of the music. A landmark concert, conducted by Dr. Roger Wagner on December 2, 1989 in UCLA's Royce Hall, placed the music of this forgotten master, David Nowakowsky, at the forefront of composers of sacred religious music. Inspired by this concert, Noreen Green decided to write her doctoral treatise on Nowakowsky. She has since formed the Nowakowsky Chorale, which has many beautiful performances to its credit. As a director of the Foundation, Dr. Green has edited many of the composer's works and is spearheading the publication of Nowakowsky's music. After many years under the care and development of the music by Cantor David Lefkowitz, arrangements have been made to place the manuscripts at the International Centre and Archives for Jewish Music directed by Dr. Neil W. Levin in New York City. This transfer of the manuscripts will provide greater access for students and researchers.